Let me start off by saying that this is one of the more involved recipes I've made. 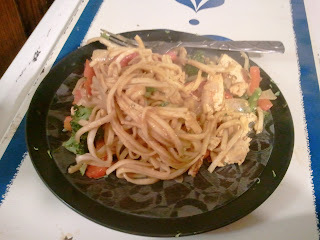 It's not that it's difficult, per se, but it did take longer than I usually spend making dinner during the week. In all, it probably took 45-60 minutes. And it was so delicious that it was worth every minute. But I would not call this a beginner recipe. It might also be beneficial to read the original recipe for clarification. Just don't be frightened! Be patient, but this is going to be so worth it. I started with four bundles of organic udon I'd had been staring at in my cupboard for waaayyyy too long. You could use as a little as two, but I'd say three would be perfect. Cook these according to the package and the drain them. 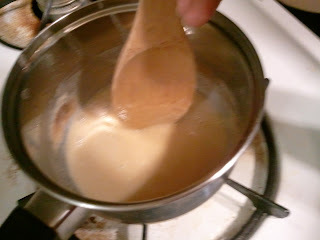 In a separate saucepan, start the roux. I must admit, rouxes scare me. So does trying to make roux plural. This is my first time not screwing up a roux. 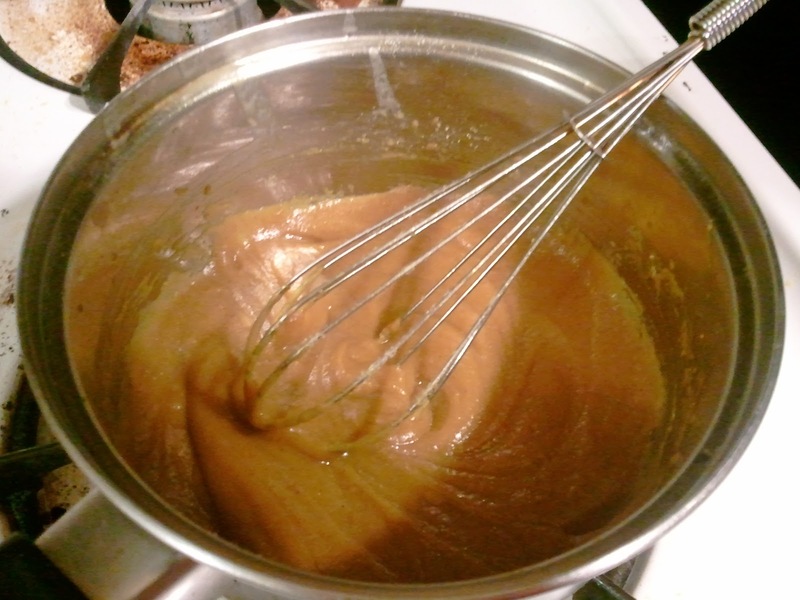 Once it smells toasty and looks almost caramel-colored, add the peanut butter. Stir with a whisk. Yum! In the biggest skillet you have (or a wok), fry some sliced onions and sliced tofu in a little oil for about four minutes. Cook them longer than this picture shows. Add some chopped broccoli and sliced red peppers. Or green peppers if you don't dislike them like I do. Cook those until the veggies are all soft. 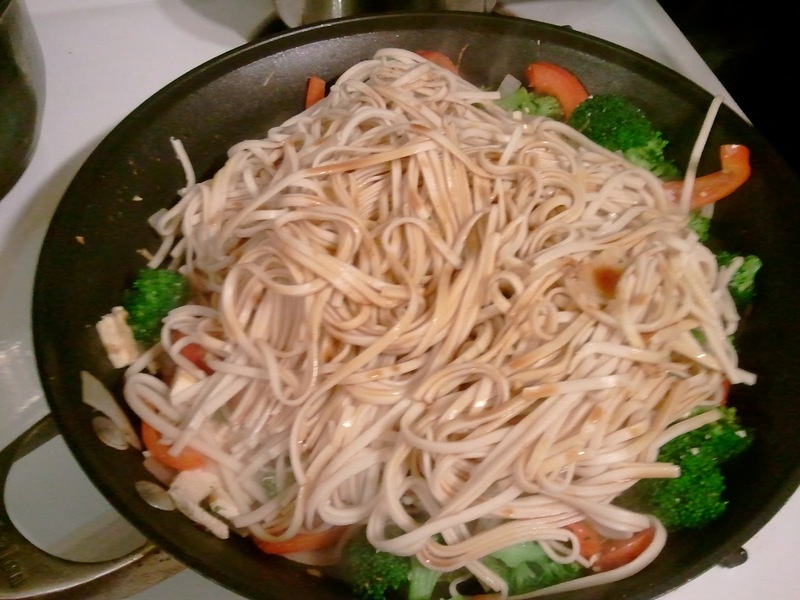 Toss the cooked udon on top of all this, and cover that with low-sodium soy sauce. Stir-fry a couple minutes. Then add the sauce and stir to coat. Add water if it's too thick or dry. Plate it up and try your hardest not to eat every last bit. 1. 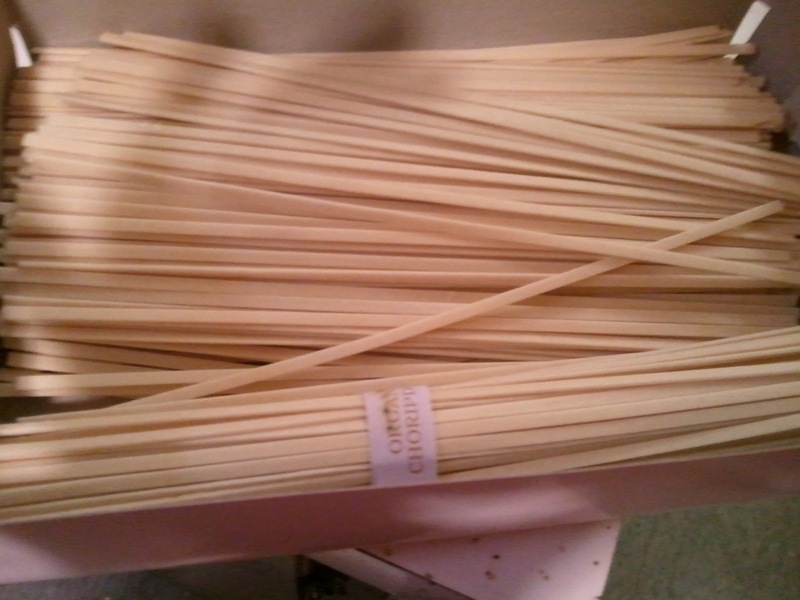 Prepare the udon first: Cook the udon according to the package directions, about 5 minutes. Drain and rinse well with cold water. 2. Next, prepare the curry roux sauce: Combine the flour and 2 tablespoons peanut oil in a small saucepan. Cook over medium-low heat, stirring constantly with a wooden spoon, until the mixture browns to the color of caramel and smells toasty, about 10 minutes. Stir in curry powder and cook for another minute while stirring constantly. Switch to using a wire whisk, then pour 1/2 cup of water slowly. Whisk in the sugar and cook the roux, stirring constantly, until a thick sauce forms, about 2 minutes. Remove from the heat and set aside. 3. 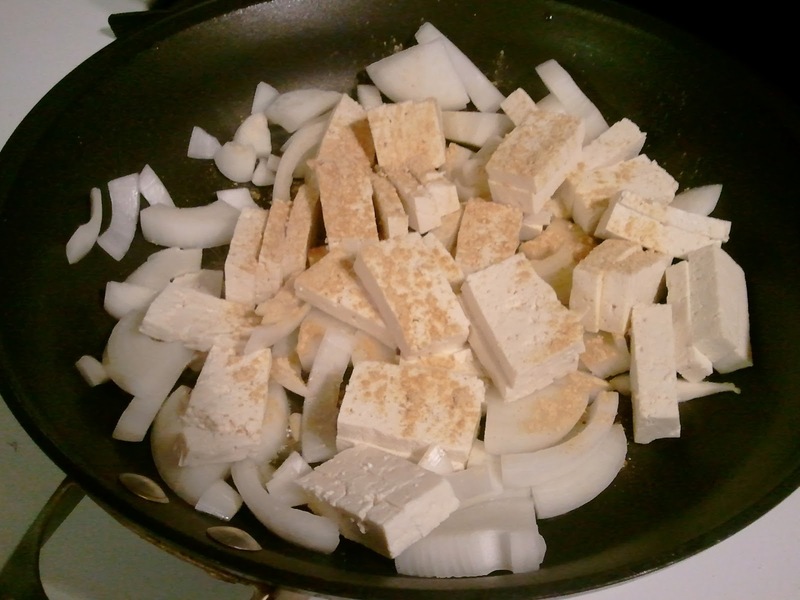 To prepare the stir-fry: Heat 2 tablespoons of oil in a large nonstick skillet or a wok and cook the sliced onion and tofu for 5 to 6 minutes. 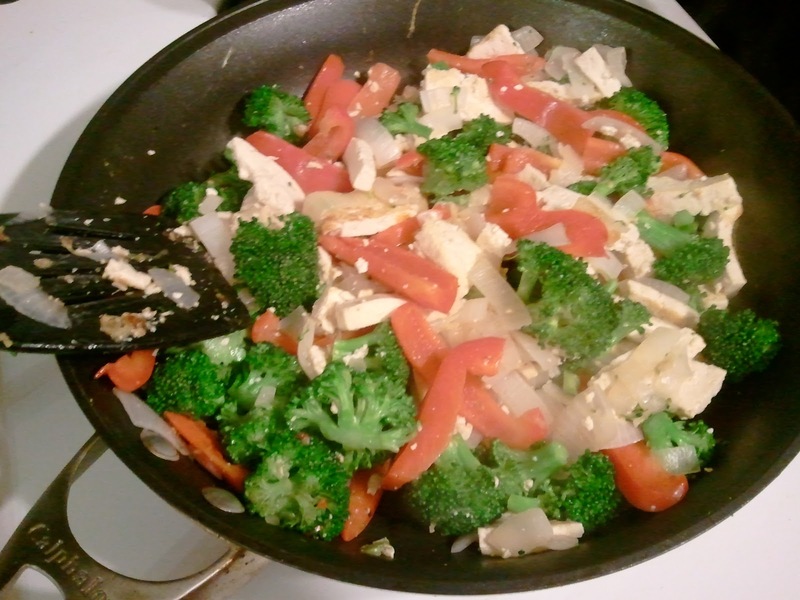 Add the ginger and red pepper, and stir-fry for another 5 minutes, until the pepper starts to soften. 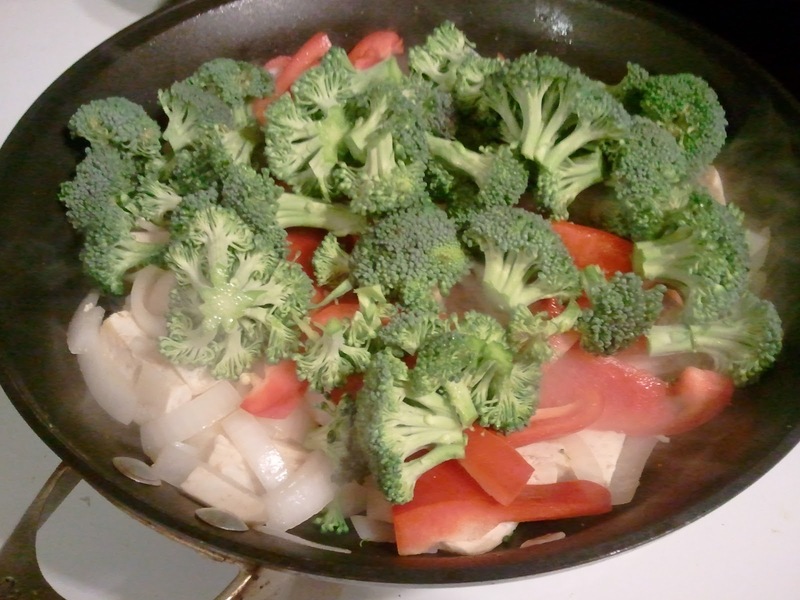 Add the broccoli and stir-fry for 4 to 5 minutes, until it turns bright green. 4. 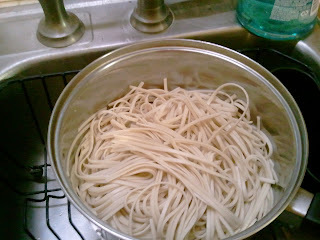 If the udon is sticking together, rinse briefly in warm water and drain. 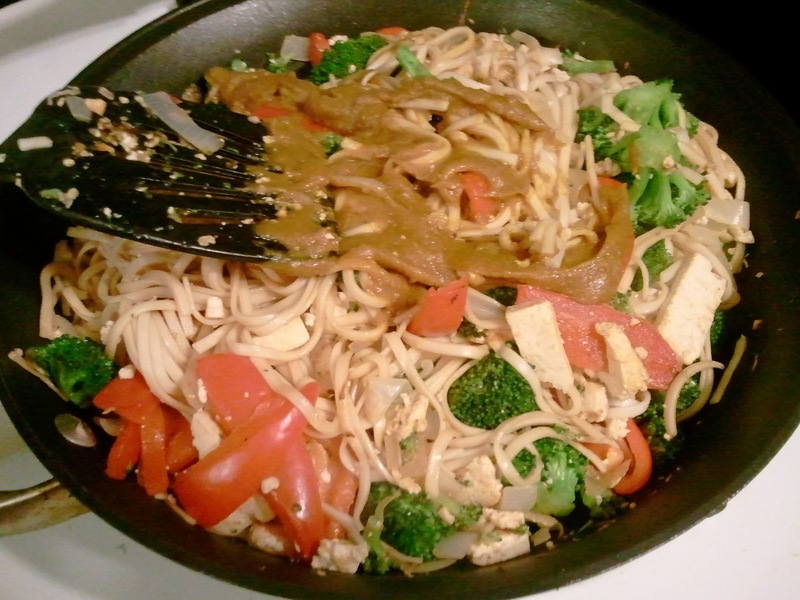 Add the noodlesto the stir-fried vegetables, sprinkle with soy sauce, and stir-fry for 2 to 3 minutes. 5. Pour the sauce over the stir-fry and stir to coat everything completely with the sauce. Add a little water. 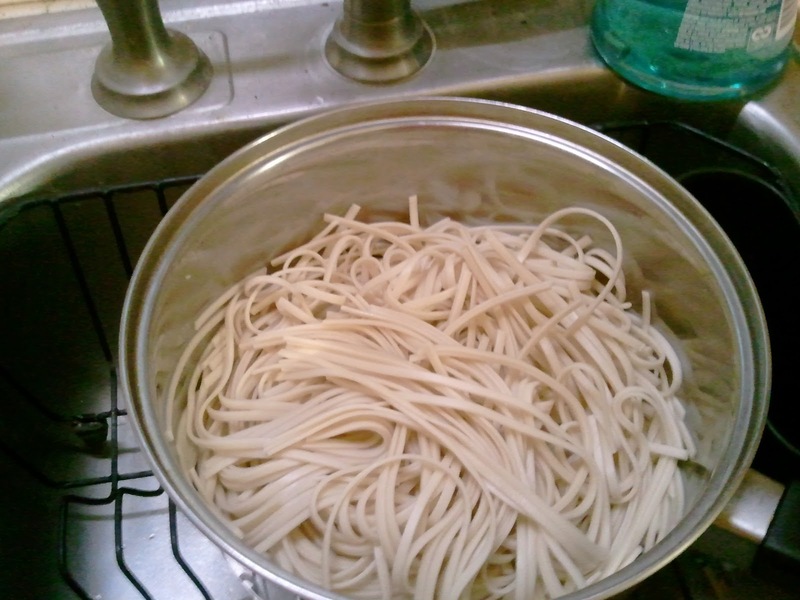 Stir and cook for 2 to 3 minutes, until the sauce is simmering and the noodles are warm.